Dark Souls modder and hacker Zullie The Witch has released a mod that lets players fight with apparitions that work like Stands from the JoJo’s Bizarre Adventure series. The mod adds NPCs to your spell list and can be used by just swinging your fists. Stands will do different actions depending on what actions you use. Light attacks, heavy attacks, kicks, jump attacks and, most importantly of all, using gestures will allow your Stand to use different moves. 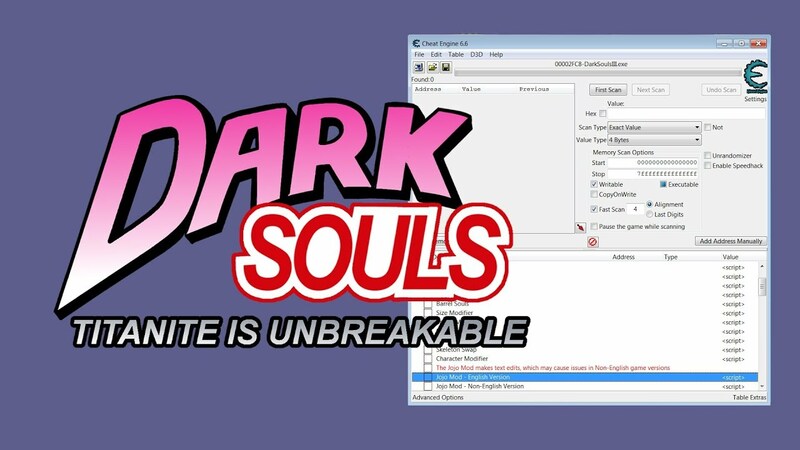 The script requires Cheat Engine to run, and due to technical limitations, the mod will not work in online mode. While you can’t engage in any battles with other stand users, the mod does include customization options for your Stand as well as the player character. The link for the mod is available in the description of the trailer video, and Zullie also included another how to video for anyone curious of what the mod can do.